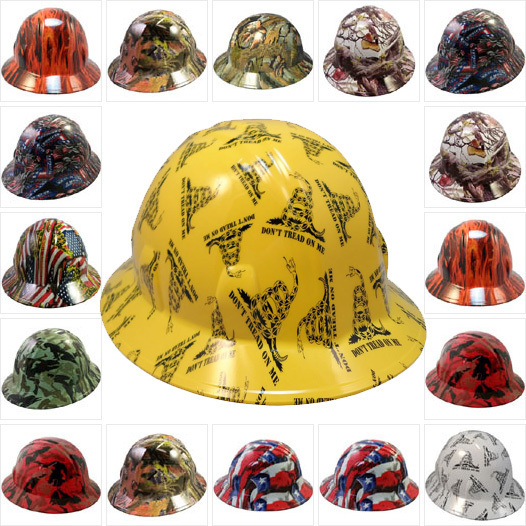 Your Safety Supplies carries a wide range of hydrographic safety helmets, and unlike many of our basic products, these helmets are much more stylish. 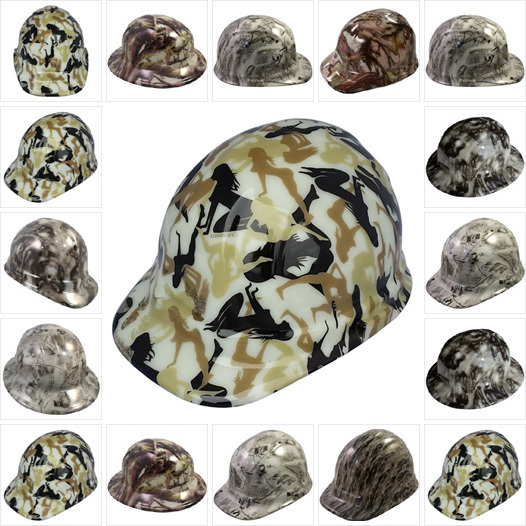 We stock full-brim and cap style products, and we even carry hydrographic helmets that glow in the dark, which are ideal for nighttime applications. The base model for these products is an ERB Omega II safety helmet, and for optimal protection, it meets important ANSI safety standards. The design process for all of our hydrographic helmets starts with a top coat of PPG automotive paint, and next, the helmet is dipped with a custom ink design. To protect the graphics, the helmet is finished with a glossy clear coat. The process for making these helmets is much harder than it sounds, but once it's finished, you end up with an incredible safety helmet. 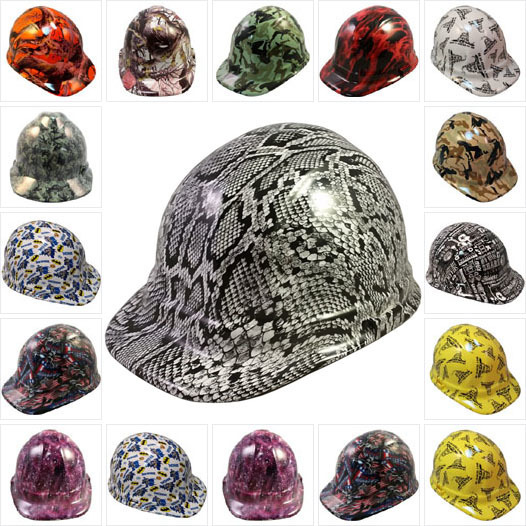 If you don't need the cap style, you can browse our selection of hydrographic full-brim helmets, and since they're made with a full brim, they offer slightly more protection against falling objects and weather. Unlike some other products, these helmets are designed for durability, and the hydrographic process produces long-lasting graphics. A glossy clear coat protects the graphics and prevents unwanted peeling or fading. Put simply, these helmets are designed to last a long time. For nighttime applications, you can browse our selection of hydrographic safety helmets that glow in the dark.